The flower of life pattern. Abydos, Egypt has some of the oldest archaeological remains. 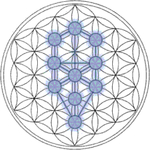 Here you can find a very precise depiction of the flower of life that was somehow burned into the wall of one of the Osirion Temples more than 3,000 years ago. 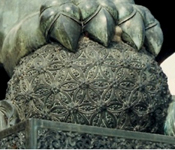 At the entrance to the Forbidden City – an ancient imperial palace in Beijing that was built in the early 1400’s – you can see the same flower of life under the paw of the Fu Dog (more accurately called "Guardian Lions"). 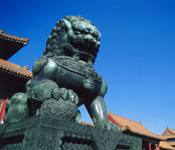 This palace was home to 24 emperors of the Ming and Qing Dynasties. 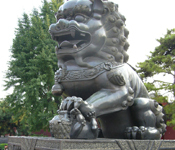 Could the Fu Dogs not only be a symbol of protection to buildings and their inhabitants, but guardians of the knowledge of how universal energy works? Could it be that the female Fu Dog, is guarding the life force itself – which is always in the form of a pup beneath her paw – while the partnered male is guarding the knowledge of how to access that life force for energy, sustainable design and the transformation of consciousness itself? 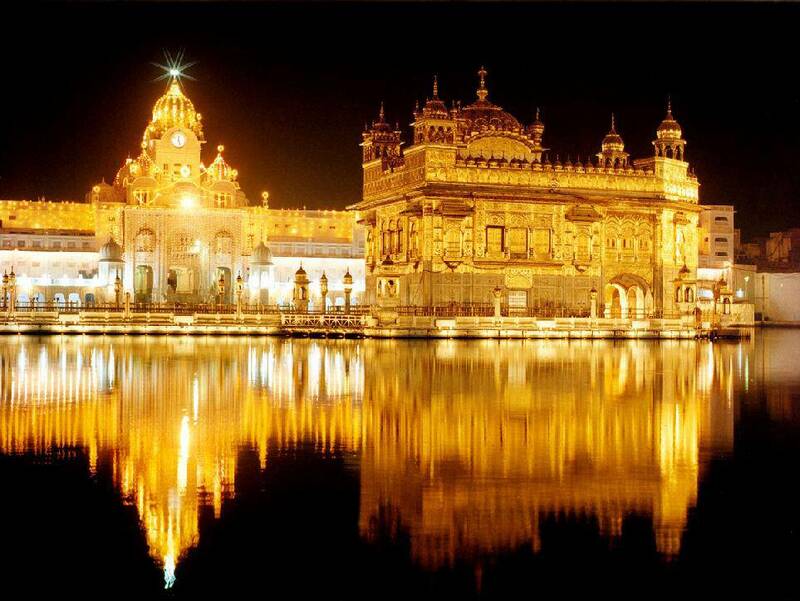 This temple was intricately designed and has many symbolic aspects. For example, it has four entrances that signify the importance of acceptance and openness in the Sikh religion – all visitors are welcome. 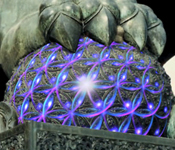 Given the thought and care that went into the temples construction, it seems significant that the flower of life also appears here. 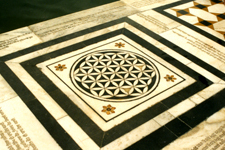 Is it merely a coincidence or could these ancient architects have also known about the flower of life and the potential it holds for humanity? 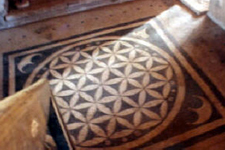 Flower of Life depictions also appear in Turkey and Austria as you can see below. 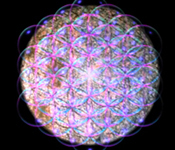 Flower of Life in India. Flower of Life in Turkey. Flower of Life in Austria. 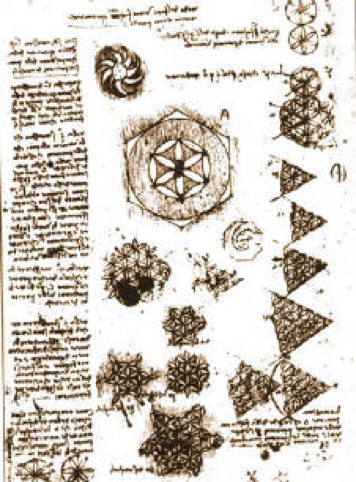 Leonardo da Vinci also studied the flower of life. His drawings depict various components of the pattern and the geometries found within it. The I Ching, or “Book of Changes”, reveals the code through the 64 tetrahedron. It is an ancient Chinese text dating back thousands of years that continues to be used as an oracle and book of wisdom. The I Ching is comprised of 64 oracular statements, that are each formed by a variation of 6 horizontally stacked lines, called hexagrams. 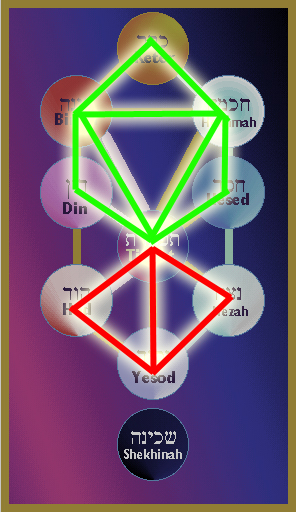 Nassim’s research went beyond the literal interpretation of each hexagram, to look at the I Ching as a whole, and that’s where one can see the encoded pattern of 64 units again. Each hexagram contains 6 edges that make up a tetrahedron, and together make up a 64 tetrahedron crystal. 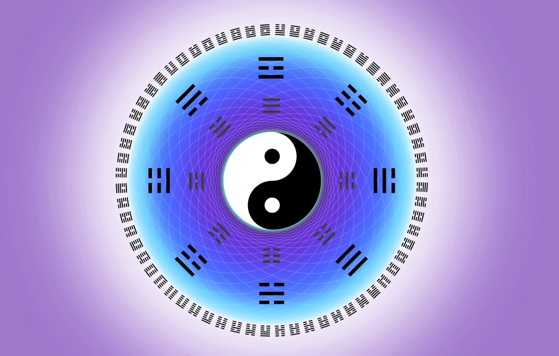 This is the underlying pattern of the torus – it is the same code being passed down through one of the most ancient and influential Chinese texts. 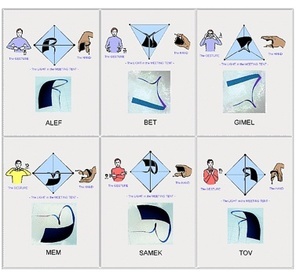 Stan Tenen’s research in the Meru Project reveals that the Hebrew alphabet is a system of shadowgrams encoding the torus. 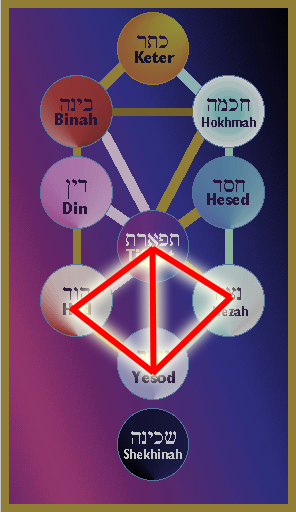 If you use a very precise torus shaped form you can create every single letter of the Hebrew alphabet by rotating it at different angles. 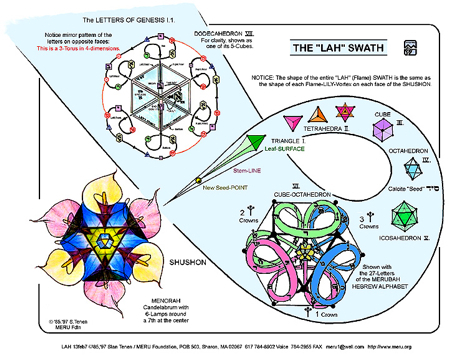 Left: Handheld torus form that reveals all Hebrew letters. 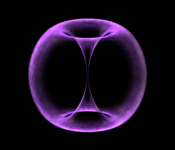 Center: The same torus form from above. 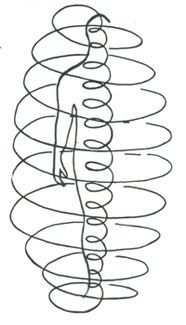 The spiral comes out of the center of the torus and wraps around to its equator. So rotating it and flipping it will re-create the entire torus shape. Right: Stan Tenen also illustrates how the alphabet lays out perfectly on the structure of the Vector Equilibrium, with the ‘Tagin crownlets” identifying orienting spin axes. For further information on this visit http://www.meru.org/lightintent/lightin.html. Through my 15 years of training in the non-violent martial art of Aikido, I became exposed to Kototama - the millennia old tradition in which Morihei Ueshiba, the founder, was trained. 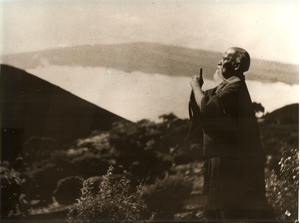 Kototama seems to be a message from ancient cultures of how to tune ones consciousness to the energy of the universe. Kototama is an ancient Japanese tradition that means “spirit of language”, “sacred sound”, or “the knowledge of the vibration of the Universe.” It is the practice of generating ritual sounds and words, with the belief that they can influence your body, mind, and soul. The Kototama chant creates a resonant torus around the body as Jack Wada demonstrates in this video. Ancient texts cite 49 “motive” sounds in Kototama and one toning, the 50th, which encompasses them all. 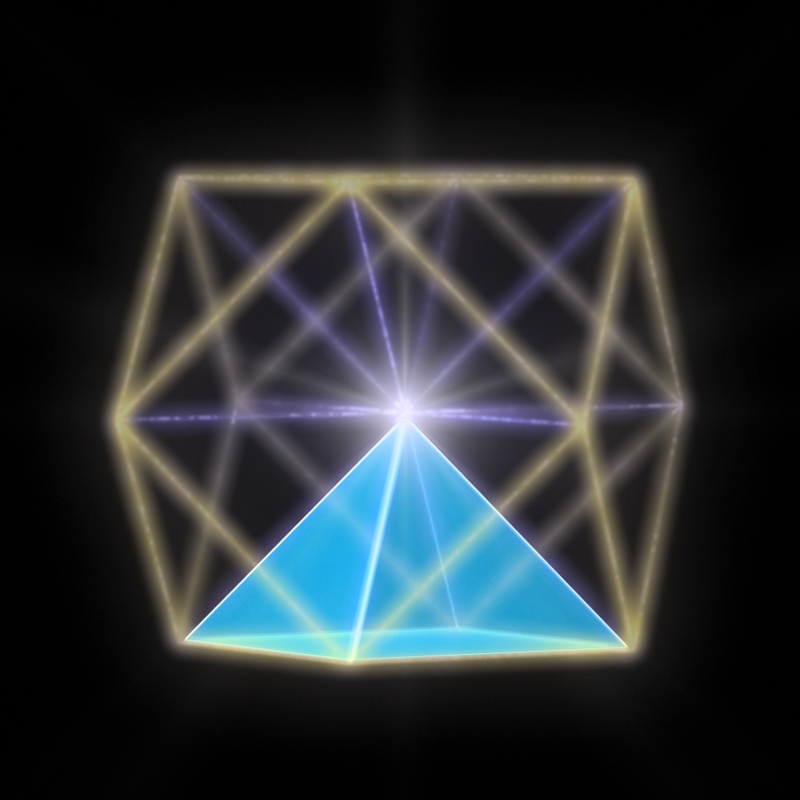 This 50th toning is the secret – it’s the active dynamic of the torus and it’s what allows people to access higher levels of consciousness through the Kototama. This is a strategic and enduring way to pass along vital information across generations. Could it be mere coincidence that the sequence of vowels is identical to the Hebrew name of God – “Yahweh” – that people were told not to speak aloud? Actually there is strong scientific evidence being collected in our current era that this process can have profound effects on the tuning of our own consciousness. I trained at the Monroe Institute in Virginia, where they have been studying the “beyond the body” experience for decades. Along with the other students, I was taught to chant a tone and visualize a torus shaped aura of light surrounding me, flowing up through my feet, and out my head. It seems that skillful re-creation (visual and auditory mimicking) of the fundamental energy flow is a key to expanding levels of consciousness as well as tapping space energy for electricity. Is it possible that this access to expanded consciousness – this link with the creative force was what was being concealed from people in everyday life? Photos: The Monroe Institute concept of “Re-bal” or “Resonant Balloon” surrounding the human body. Chanting in resonance with this field is taught as an aide to expanding one’s consciousness beyond the body. 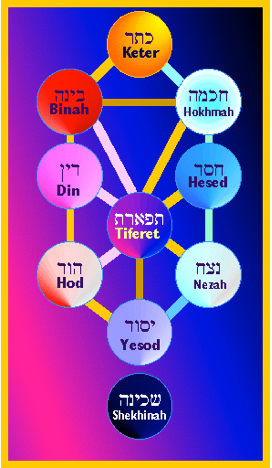 So it became particularly intriguing to me that not only the alphabet, but also the famous Cabalistic Tree of Life from the Hebrew tradition, bears the same encoded knowledge. 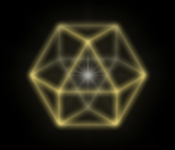 If we visualize in 3D, we can see that the “seed” at the bottom of the tree grows into a tetrahedron and then into an octahedron – in the same way that living geometry complexifies most efficiently – regardless of scale. The same pattern has appeared in the mysterious patterns in fields called “crop circles.” The authentic ones of these seem to be messages from advanced cultures about how energy works in the Universe, so that humans can learn to align with nature – as the Kototama tradition suggests, before it is too late. 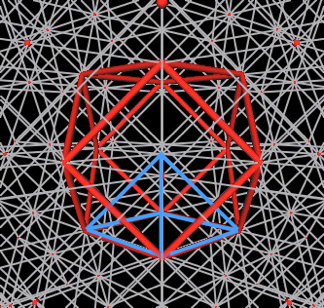 Nassim Haramein and Jean Luc Bozzoli have put together an animation to show how multiplying the Tree of Life reveals the 64-tetrahedral matrix with the Vector Equilibrium embedded within it. 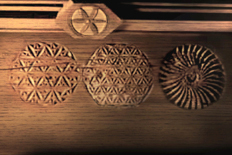 It also fits perfectly on the flower of life…which also appeared in numerous forms as crop circles. 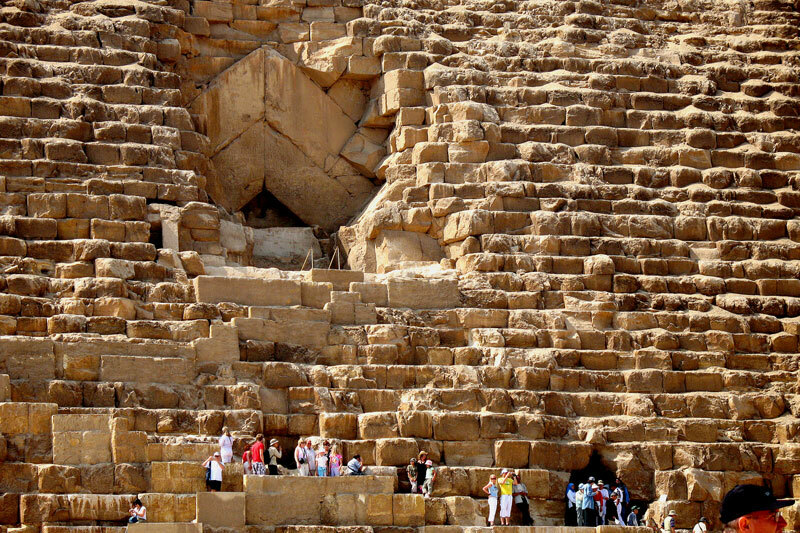 The Great Pyramid on the Giza Plateau in Egypt, has intrigued and mystified visitors and researchers for centuries. It seems to embody vast troves of encoded ancient wisdom in at least two major realms. 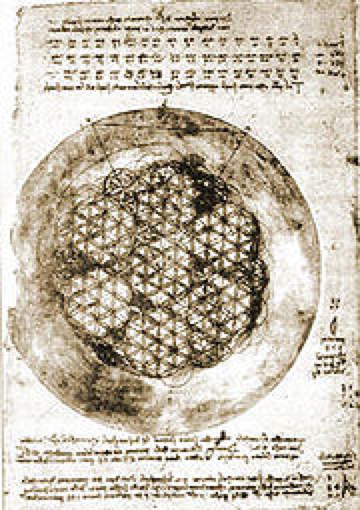 The first is mathematical and astronomical knowledge. The second is in expansion of consciousness – similar to the Kototama and Monroe Institute clues. Manley P. Hall, in his Secret Teachings of All Ages, also describes knowledge that has been passed down across millenia concerning initiation in the King’s Chamber of the Cheops pyramid. Right on the cusp between Alpha and Theta is where we are awake but not forcing mental activity. 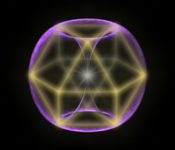 In our experiments, we found this frequency band – right in resonance with the Schumann frequencies mentioned above – was where a portal of consciousness would often open up, allowing one’s awareness to extend into realms well beyond the physical. 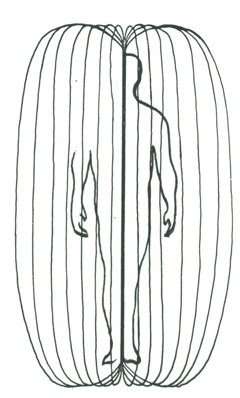 Subjects would often encounter unusual wisdom, information and even conscious entities in this state. 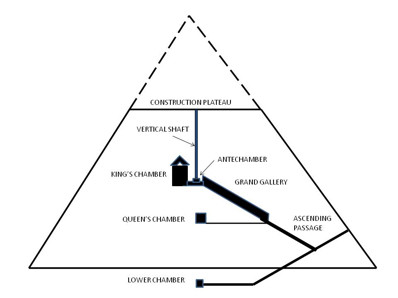 I am strongly inclined to believe that facilitating such exploration and mastery was at least one of the purposes for the King’s chamber of the Great pyramid. The half-octahedral shape of the Cheops pyramids is a key part of the fundamental structure of space-time itself. 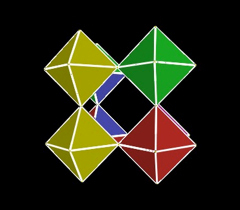 It alternates with tetrahedra in the make-up of the Vector Equilibrium – the mother of all geometric symmetries - and the Isotropic Vector Matrix – the invisible structure of space. This meta-physical “skeleton” of the cosmos itself was confirmed by a 10-year study by Italian Astronomers to see if the arrangement of galactic clusters was random or had any intrinsic structure. It turned out to be based on what they called “The Egg Carton Universe” – Octahedra – point to point. 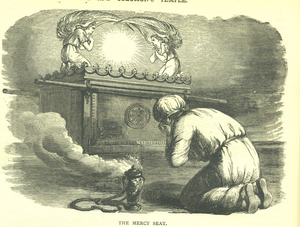 Some say the Ark of the Covenant was not just a box, supposedly containing the tablets with the Ten Commandments written by God, but a device – a technology. 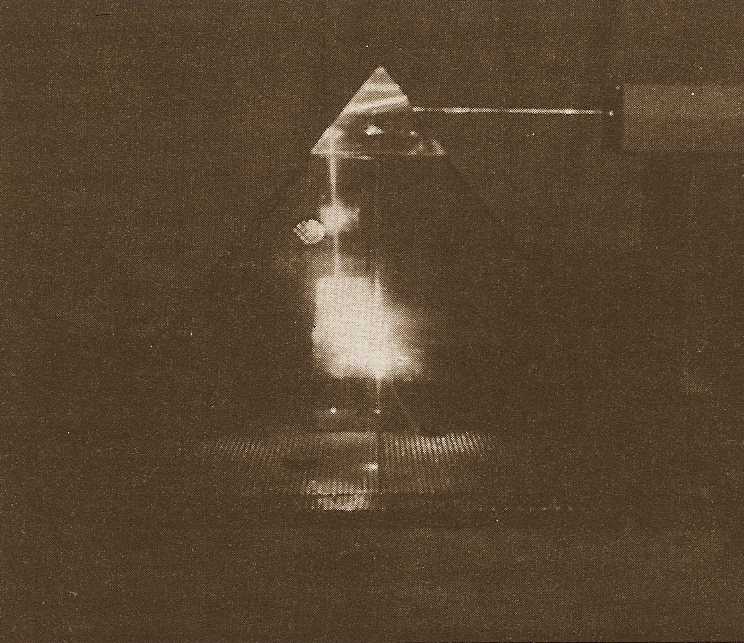 Author Graham Hancock came to the conclusion after years of research that the “Ark” was actually an electrical device. He cites how “God” gave Moses detailed instructions on how to build a capacitor (Acacia wood covered on both sides by gold) with two gold objects on top which could have served as electrodes. Perhaps “God and the burning bush” could more practically be describing an extra-terrestrial and a UFO – sharing knowledge of how to build an electric device? Perhaps the “Covenant with God” was… accessing the life force itself? If the Ark were a potent electrical device, great care would have needed to be taken to avoid getting electrocuted by contact with it. 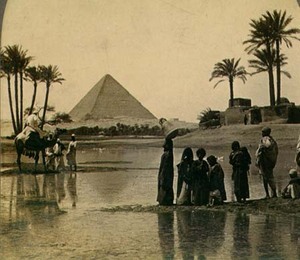 3) and that there is still no reasonable explanation for how huge stones were lifted into place for Egyptian pyramids and other structures - some of which even today could not be lifted by our cranes. 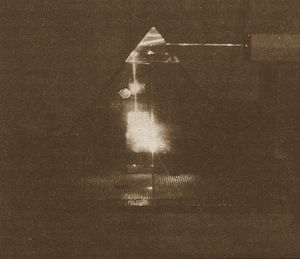 Hancock wrote that throughout the scriptures it was the only artefact explicitly and unambiguously portrayed as being imbued with supernatural energies. So on a practical level the “covenant of God” could have been the communion with the life force itself – by concentrating and discharging electricity. So how does all this data and speculation tie together? Here’s what it means for me. Numerous ancient civilizations seemed to know an amazing amount about how energy works in the Universe – perhaps guided by advanced extra-terrestrial beings who visited here long ago - and were committed to passing it on through texts, oral traditions, icons and various other means. While they may not have had the technology or resources to fully utilize this knowledge, it seems to me there were those who knew this code held huge potential for humanity. Now that we have this vital information, we can learn to better align with the flow of the Universe to access abundant energy and the state of consciousness we know as harmony or love - that is so desperately needed to create a thriving planet. 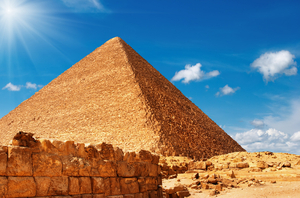 Secrets of the Great Pyramid. Pgs.189-190. 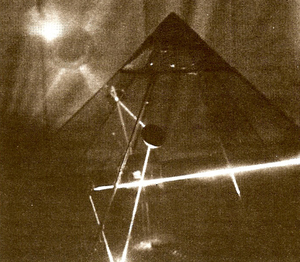 Secrets of the Great Pyramid. Pg. 266. Secrets of the Great Pyramid, p. 257. The Sign and the Seal, p. 273. The Sign and the Seal, p. 275. The Sign and the Seal, p. 276. The Sign and the Seal, p. 353. The Sign and the Seal, p. 286. The Sign and the Seal, p. 355.